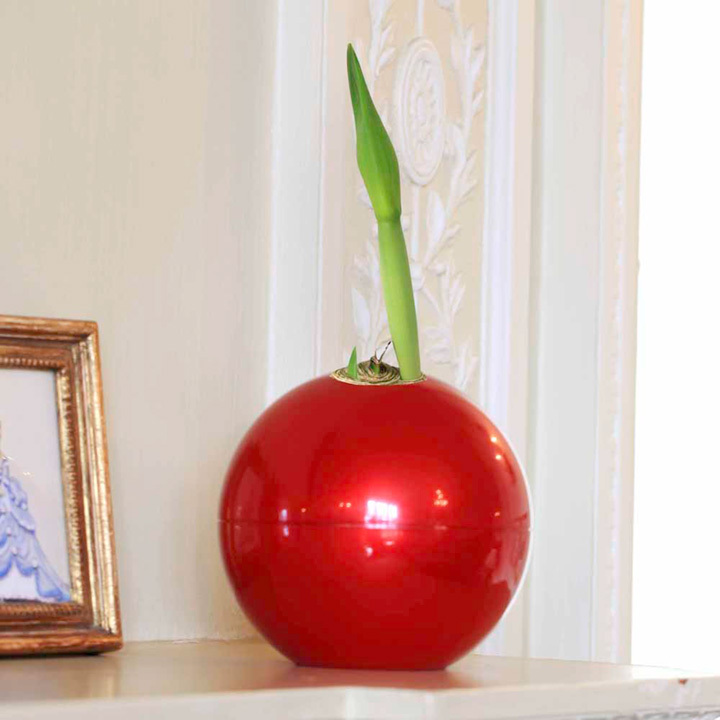 A striking Christmas Ball Planter with a large (28/30cm size) amaryllis bulb that will produce not just one but two flower stems! 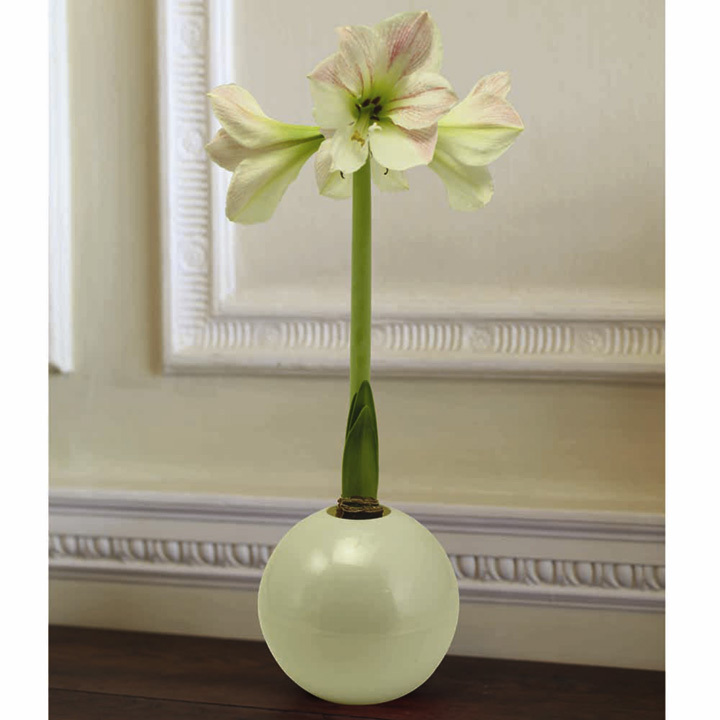 Just add water and watch the strong stems emerge and grow quickly and the flower buds burst open to vibrant trumpets! 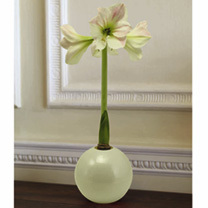 Blooms in 2-3 weeks, depending on room temperature. The 16cm diameter planter is made of tough plastic and can be re-used in future years. 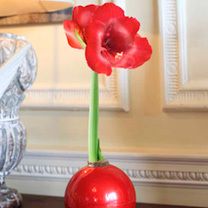 2 flower stems per bulbs with at least 4 flowers on each. Delivered from November. Available individually or buy both.